This year I plan to participate in a few challenges. I think it´s a way to motivate yourself to create new and different things, to showcase your creations and to share with many other crafters of the community. This time is Timeless Tuesday #253 turn, at Flourishes. Best of all is the winner´s prize: All stamp sets of their recent release. The main rule is to create a shaped card, so for this one I used the larger dies of Spellbinders Gold Labels Four. And to honor Flourishes Stamps I used my beloved Cherry Blossoms Set (I know, I love it…). I used Spectrum Noir markers to color and Ranger´s Distress Ink in Spun Sugar to shadow it a bit, this last one matches the ribbon perfectly. Este año pienso participar en algunos retos. Creo que es una manera de motivarse a sí mismo a crear cosas nuevas y diferentes, de mostrar mis creaciones y de compartir con muchos otros artesanos de la comunidad. Esta vez es el turno de Timeless Tuesday #253 en Flourishes. Lo mejor de todo es el premio para el ganador: Todos los sets de sellos de su más reciente lanzamiento. 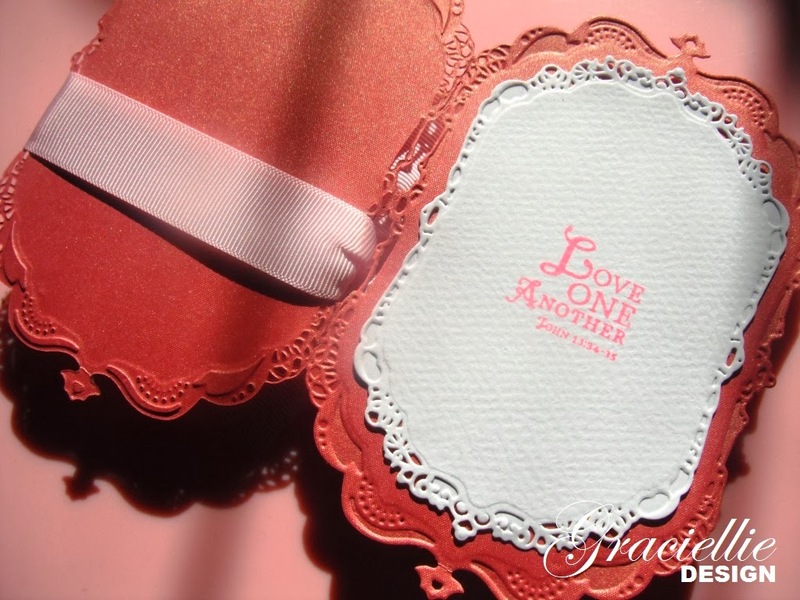 El requisito principal es crear una tarjeta con forma (no cuadrada), por lo que para esta usé los troqueles más grandes del set Spellbinders Gold Labels Four. Y en honor a mi amor por los sellos de Flourishes usé mi muy apreciado set Cherry Blossoms Set… Usé marcadores Spectrum Noir para colorear y Ranger´s Distress Ink en color Spun Sugar para matizar la imagen, último que combina perfectamente con la cinta. Este ano penso participar em alguns desafíos. Acho que é um jeito de motivar a si mesmo a criar coisas novas e diferentes, de mostrar as minhas criaçoes e de compartilhar com muitos outros artesanos da comunidade. Esta é a vez de Timeless Tuesday #253 em Flourishes. O melhor de tudo é o prêmio para o vencedor: Todos os sets de selos do seu mais recente lançamento. O requisito principal é criar um cartão com forma (não cuadrada), pelo que para este usei os cortes mais grandes do set Spellbinders Gold Labels Four. 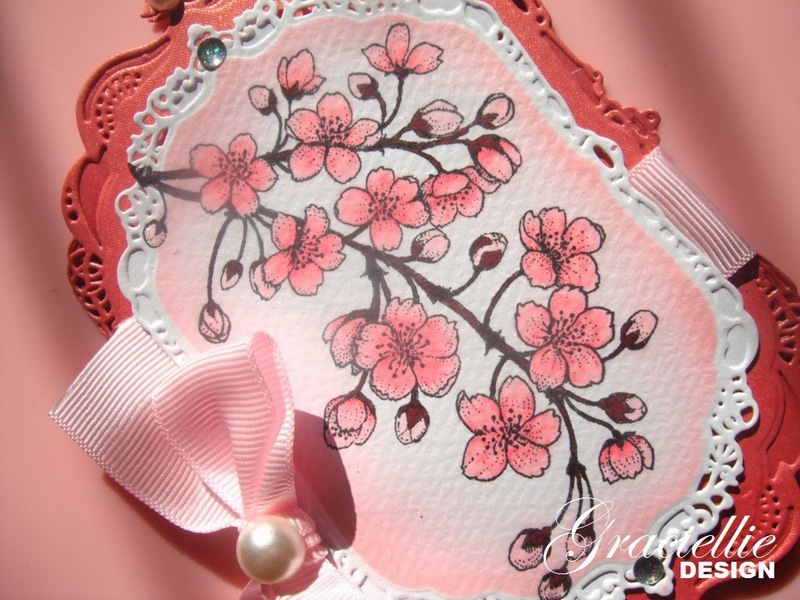 E em homenagem a os selos de Flourishes usei meu muito querido set Cherry Blossoms… Usei marcadores Spectrum Noir para colorir e Ranger´s Distress Ink em cor Spun Sugar para atenuar a imagem, último que combina perfeitamente com a fita. So beautiful! 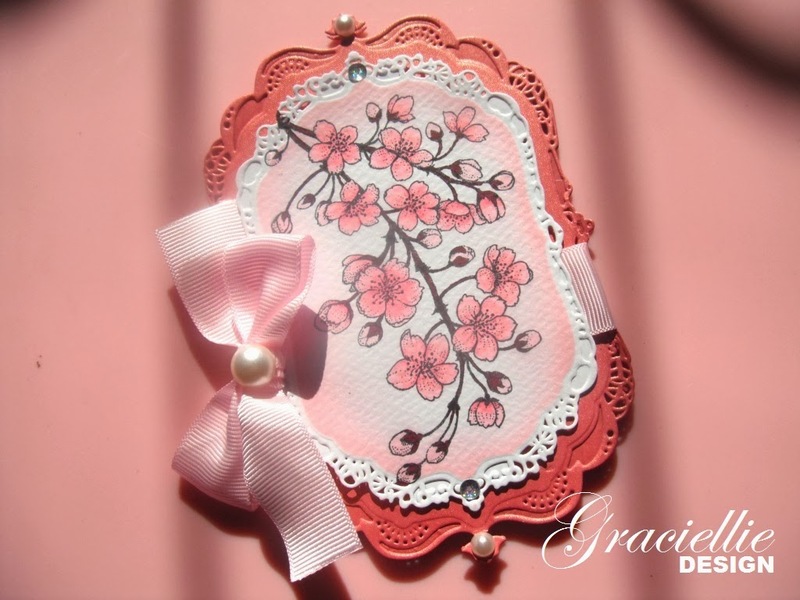 A gorgeous shape and die and such pretty delicate pinks for the cherry blossoms! Thanks for playing along with us at Flourishes! This card is absolutely Gorgeous! I love the soft coloring and your grosgrain bow is a wonderful feminine touch. Thanks so much for playing along with us in the Timeless Tuesday Challenge this week! Thank you so much Cheryl, I really appreciate it! Wow Gracielle! Your shaped card is beautiful! The colouring on your cherry blossoms is divine. Thanks for playing along with our shaped card challenge for Timeless Tuesday at Flourishes. Thanks Allison, I'm so glad you liked it!